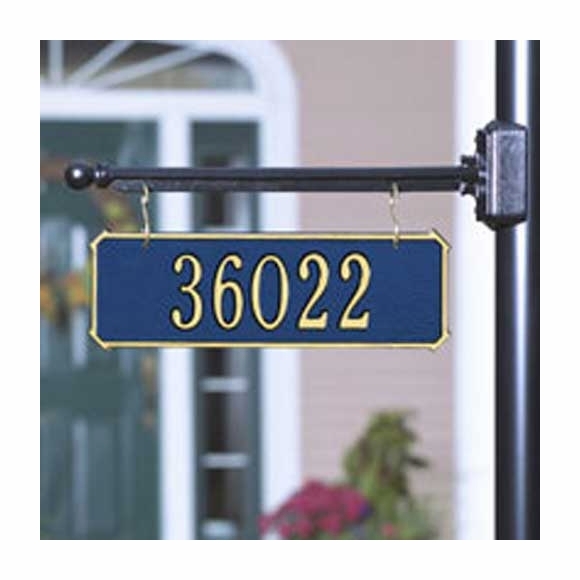 Two Side Personalized Hanging Rectangle Address Plaque - - rust-free recycled aluminum address plaque holds one line or two lines of personalization. Bar sold separately. Post not included. Made for you in the USA. Line 1 holds up to five (5) 3" characters on a 1-line sign and up to five (5) 2" characters on a 2-line sign. Optional Line 2 holds up to seventeen (17) 1.25" characters when you select a 2-line sign. NOTE: If you are not using line 2, leave input box blank. Made in USA. 5-year mfg. warranty. 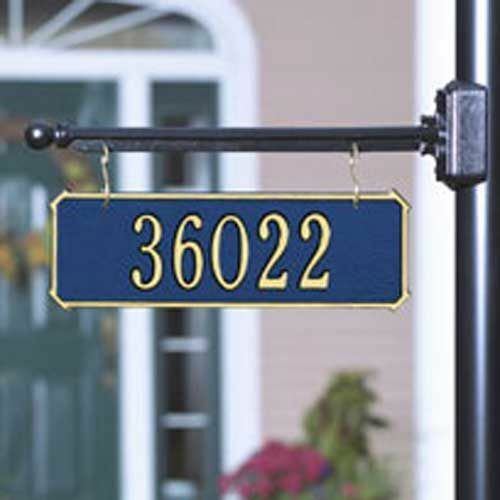 Hanging rectangle address plaque holds one line or two lines of personalization. I searched all the local stores for a street sign for our existing lamp pole to no avail. 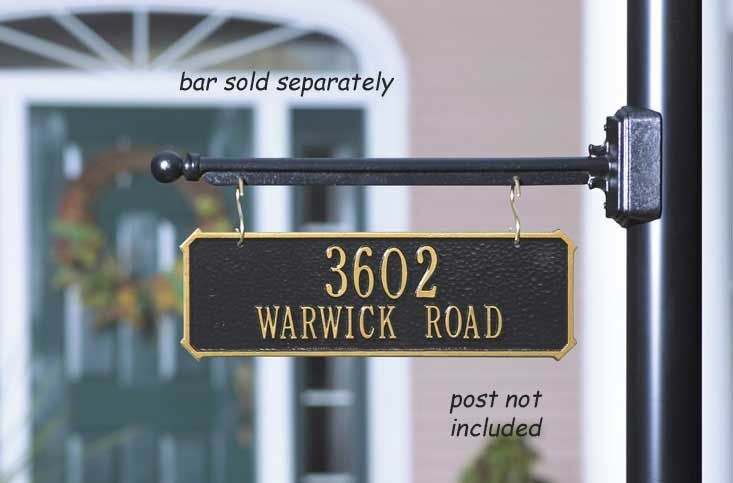 Everyone said that they don't make them anymore to just get a sign and put it on the front of the house. I searched the web and found Comfort House. We are thrilled!!! I've already given the name of the company to 5 people. We ordered the horizontal sign for a round pole. The installation was easy and quick and the quality of the sign is beautiful. I'll definitely order from this company again!